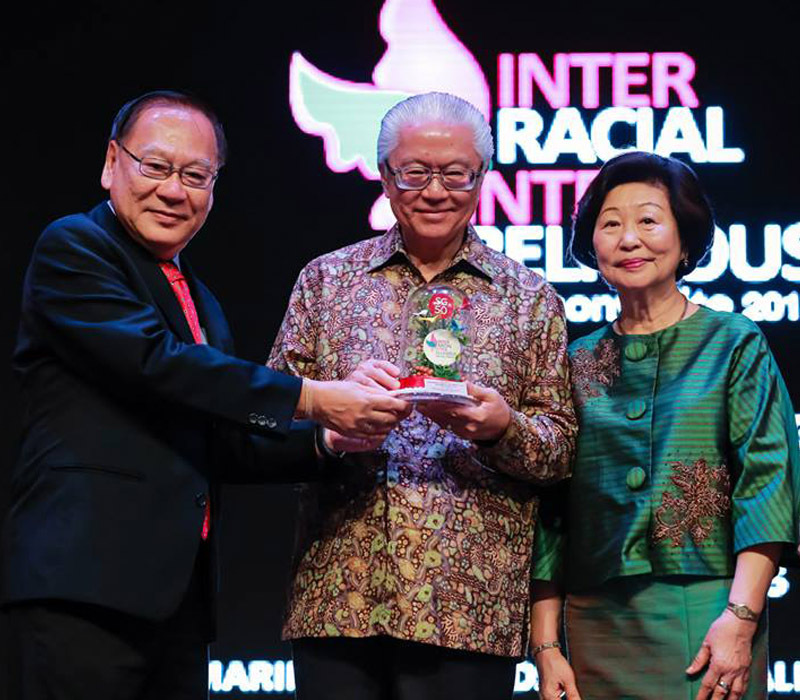 Mr Lee Kim Siang, presenting a token of appreciation to Guests of Honour, President Tony Tan Keng Yam and his wife Mrs Mary Tan. 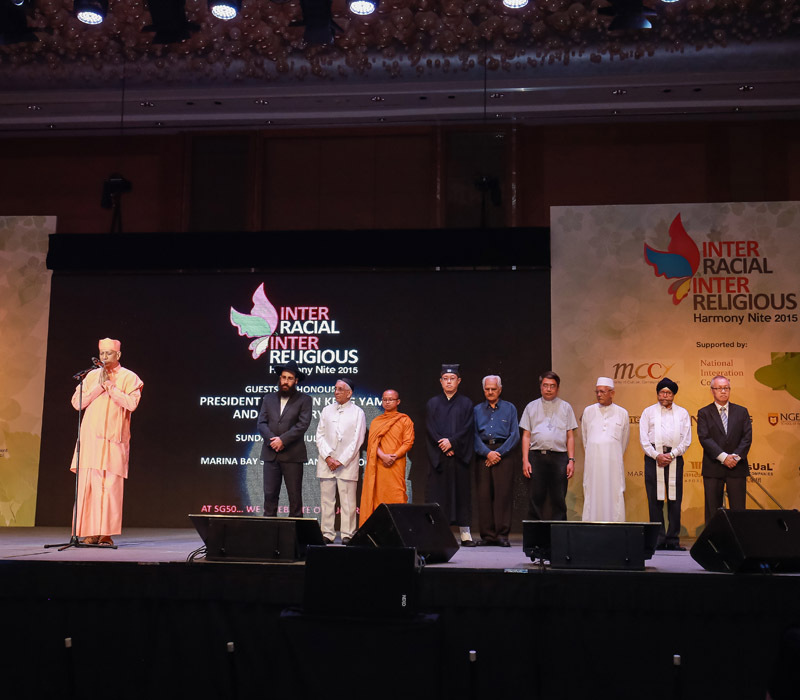 Invocations by the 10 religious groups under the purview of the Inter Religious Organisation (IRO). 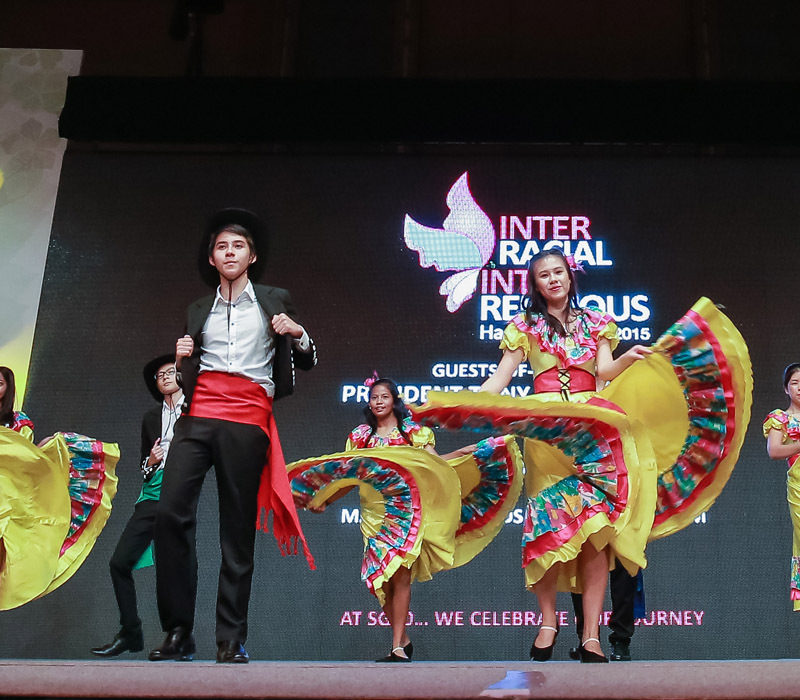 Since 2004, THYE HUA KWAN MORAL SOCIETY, has organised the Inter Racial Inter Religious Harmony Nite (IRIRHN). 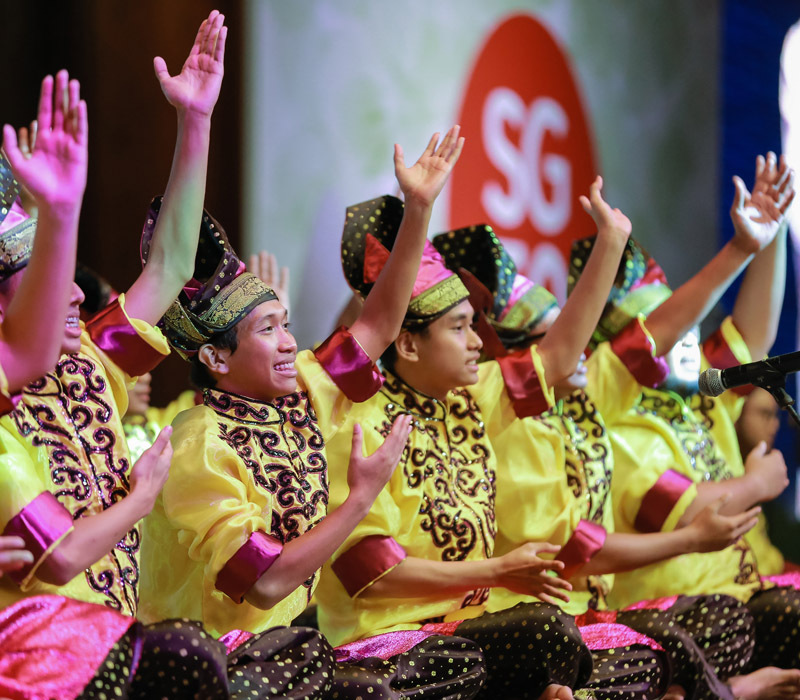 This meaningful event is celebrated to remind Singaporeans the value of the harmony we enjoy in Singapore. 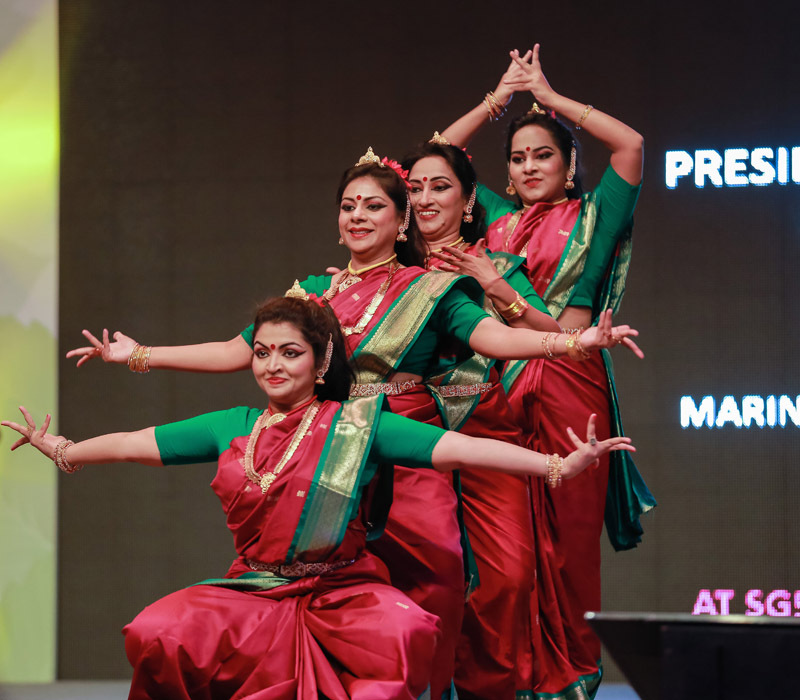 The event showcases the diverse ethnic groups we have through various cultural performances by the Malays, Indians, Chinese and Eurasian communities in Singapore. 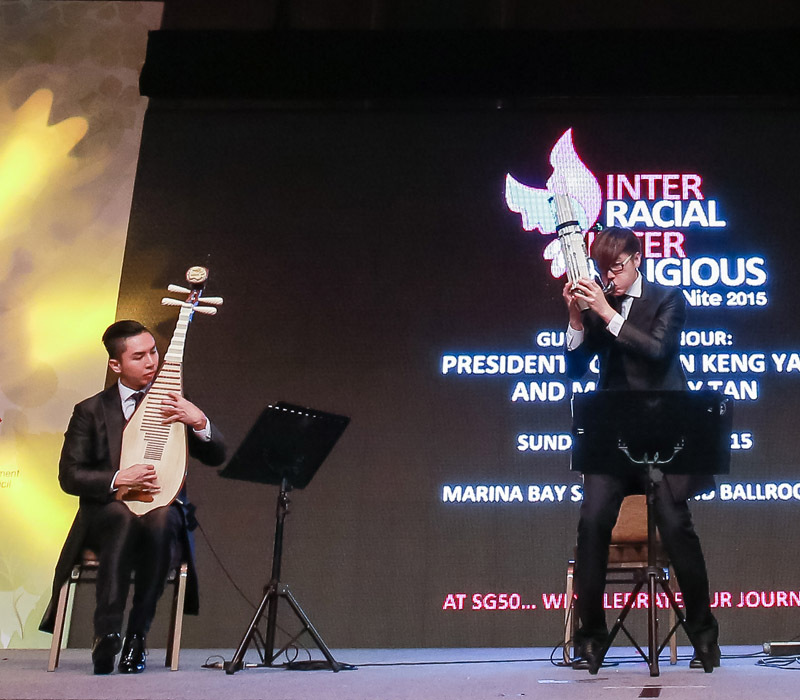 The 10 religious groups representing the Inter Religious Organisation (IRO) start the ceremony with the invocations to reinstate the various beliefs we have in Singapore. This is a symbol, that Singapore as a secular state, despite various beliefs, respect each other's beliefs. 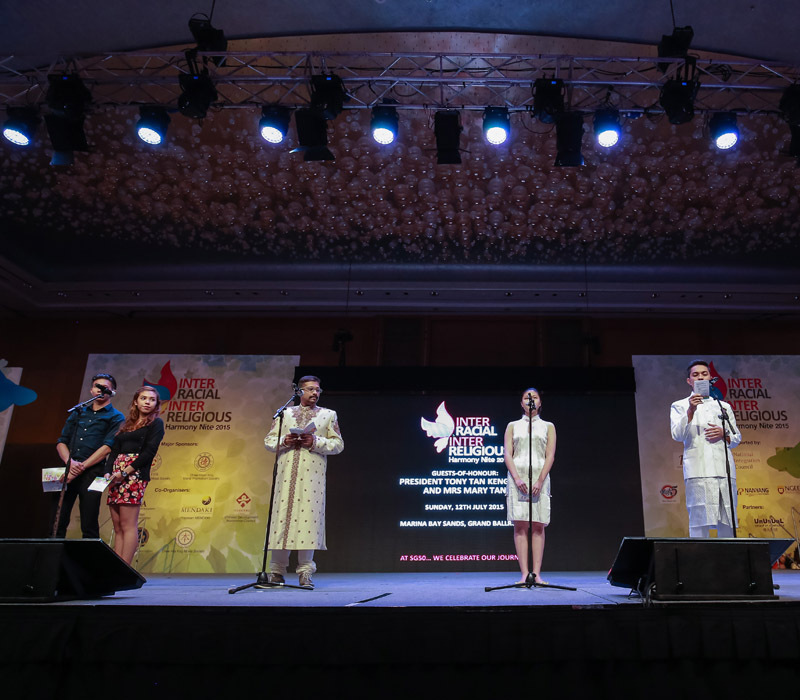 This is reaffirmed when, representatives from each of the 4 main ethnic groups in Singapore, takes stage to read the Declaration of Religious Harmony in their own language. 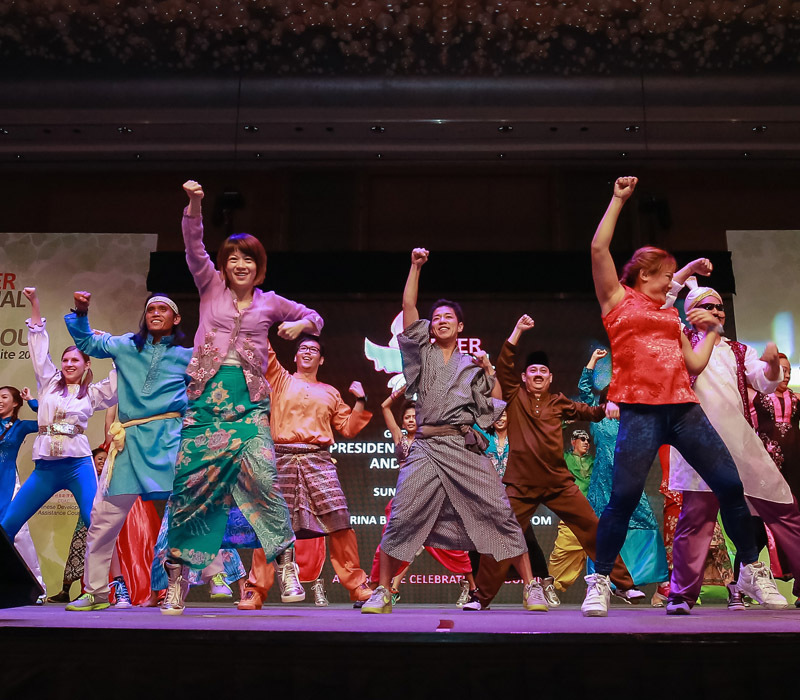 The IRIRNH portrays a national event that promotes harmony and unity, is graced by the President and attended by Ministers, Members of Parliament, Ambassadors, Grassroots and a diverse ethnic mix of Singaporeans, making up more than 2200 guests.